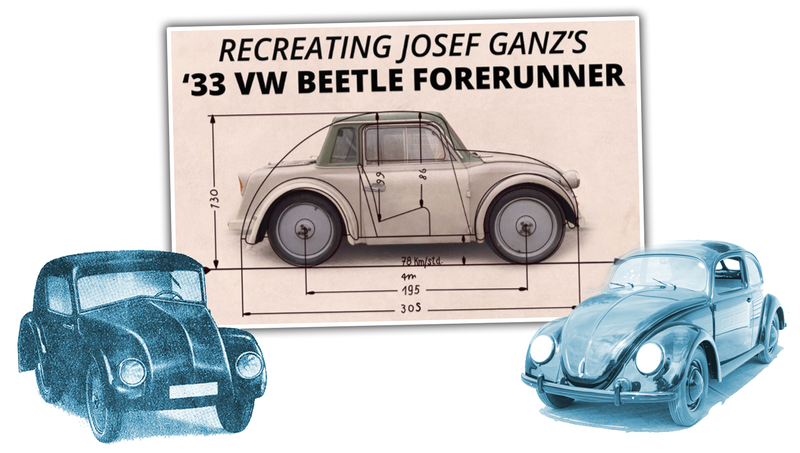 I’ve written before about the fascinating and sad tale of Josef Ganz, the Jewish engineer who designed much of what would become the Volkswagen Beetle before being erased from history by all those unpleasant Nazis. Now, the lone surviving example of a car that’s the most direct VW Beetle ancestor, the Ganz-designed Standard Superior, is going to finally be restored. Well, if they get the funding. We don’t normally cover crowd-sourcing campaigns by policy, but I think this one is important enough that I think we can make an exception. Ganz’ story is a fascinating one, and even if you’re not into VWs, there’s no denying that the most-produced car ever built is significant to motoring history overall, and Ganz’ story, repressed by the Nazis and essentially forgotten for 50 years, until Paul Schilperood’s book about Ganz in 2005, is incredible. The car itself, the first version of the Standard Superior, was never common to begin with. Only about 250 were built in 1933, and the example Schilperood has found seems to be the only survivor. The problem is that the distinctive, easily-recognizable Beetle shape of the original car is long gone on this example. This Superior survived WWII and stayed on the roads in East Germany, where it was driven for decades. Over the years, most of the body was replaced with parts from a Trabant P50, so it doesn’t exactly look like a Standard Superior anymore. Under the surface, though, the car is just as Ganz designed, and remarkably similar to what the Beetle would be: backbone chassis, rear engine, swing axles, all that. The chassis, running gear, fenders and wheels are all original. Everything else needs to be rebuilt. There’s no blueprints for the Standard Superior anymore, so restorers will have to work from photographs. The body was originally made with what was known as the Weymann body system: artificial leather skin over a wooden frame. It’s going to be tricky. It’ll be exciting to see this actually happen. I’ve always wanted to see a Standard Superior in person, so the idea of putting the last one back to its original design is very appealing. Plus, once it’s back to its original look, having it next to an early VW Beetle should make the lineage very clear. Maybe they’ll let me drive it for an episode of Jason Drives? BREAKING Outdated Air-Cooled News: Porsche, VW, And Zündapp Lies!